For details of our services please click here.. 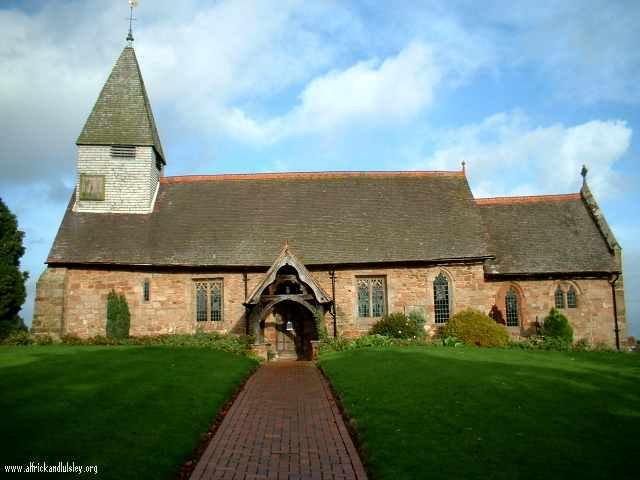 Early records state, ‘The nave of St Mary’s dates from the early part of the 12th century, and probably then included both chancel and nave. Three of the narrow round headed windows survive in the west end from this time. The present chancel was added in early in the 13th century. About 1400 the timber south porch was erected and the east window is of this period. The transept and north vestry were added in 1885 when the church was thoroughly restored’. It was decreed in 1294 that the Rector of Suckley should have one Deacon in the church at Suckley and two chaplains in Alfrick and Lulsley’. 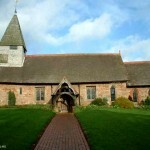 ‘Alfrick and Lulsley were chapelries of the church of Suckley until 1912, when they were formed into a separate ecclesiastical parish. The church of St Giles in Lulsley was closed in 1972 and its 12th century font, the table, a 12th century carved figure of a man with arms akimbo and the banner of St Giles may be found in the Lulsley chapel within St Mary’s. In 2006 further major restoration was undertaken as the Parochial Church Council continually work to maintain the fabric of the church to a high standard for our benefit and that of future generations. 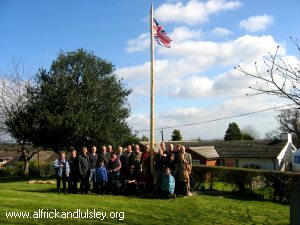 In 2007 a new flagpole was erected within the church grounds, replacing what was broken during heavy gales the previous autumn. Following tradition the new flagpole was specially selected from larch at Ravenshill Woodland Reserve. 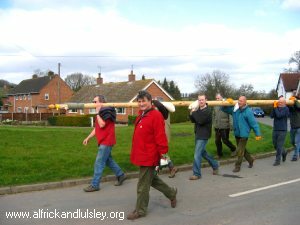 It was felled, prepared and carried by villagers, accompanied by Reverend Andrew Bullock, the one and a quarter miles from the reserve to the church.